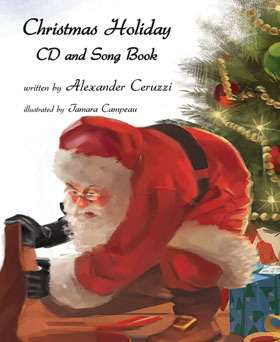 “Never let the feeling go, It’s Christmas time again.” Written by Alexander Ceruzzi & illustrated by Tamara Campeau, Christmas Holiday: CD and Song Book, includes eight original Christmas songs beginning with the 2014 Song Of The Year honored, “Christmas Holiday,” followed by, “Dear Santa Claus,” a song about a young child who writes Santa a letter that he has been good all year long and deserves toys on Santa's big sleigh. However, having seen poverty and lack of liberty on his TV, the child has a sudden change of heart and tells Santa to give away his Christmas toys to other unfortunate girls and boys. 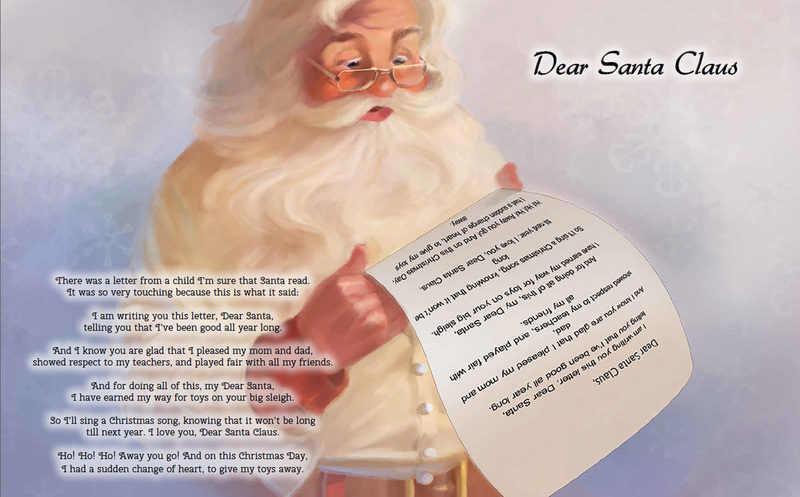 In addition to the original Christmas songs, the lyrics and beautiful illustrations will certainly get readers of all ages in the holiday spirit. Click here to preview songs from The Melody Man's Christmas Holiday CD & Song Book. Purchase Christmas Holiday CD & Song Book today! To preview or purchase more great music from The Melody Man click here! 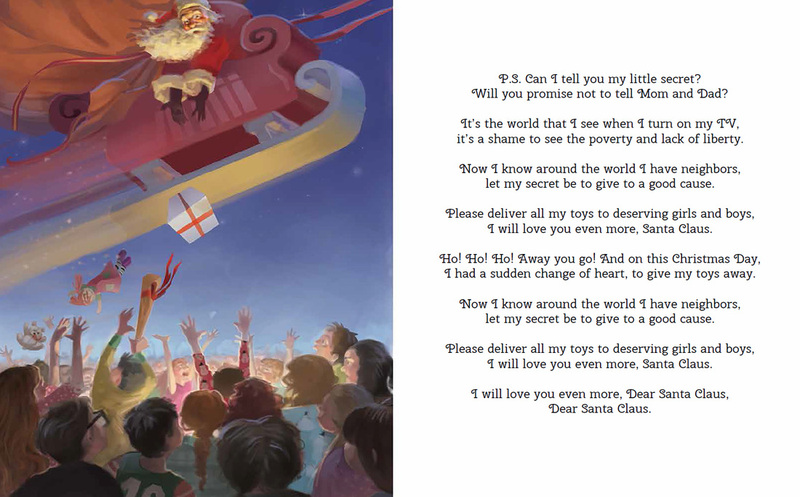 Listen & Read Along To "Dear Santa Claus"
"Night after night, it was all over the news… a precious little girl, Caylee Marie, had gone missing. I watched the story of her life unfold, as she read her books, sang songs, dressed up, and at the delicate age of almost three, just having fun. What a beautiful and intelligent child she was, with those captivating big brown eyes! When the news reported that her remains had been found, my heart reached out to this child and all the people around the world who were feeling her loss. I needed to do something to preserve her memory, and music was the natural choice. As I sat at the piano composing the music and words to “Caylee Marie", tears rolled down my cheeks. I can only hope that this song and video will help keep her memory alive in the hearts of the people who cared for her so deeply. 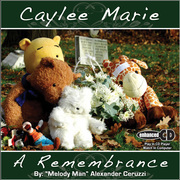 Hopefully, "Caylee Marie" will be an inspiration for the continuing search for missing children all over the world..."
Caylee Marie: A Remembrance (Song & Video) Proceeds of this song donated to Bring Kids Home (www.bringkidshome.org) and The Caylee Marie Memorial Project in Orlando, FL.